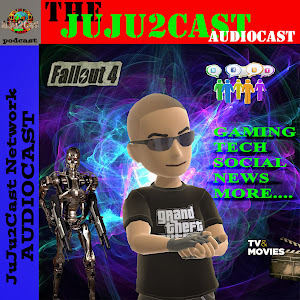 JuJu2Cast AudioCast: JuJu2Cast Audiocast #313 BONUS? NOTE: THIS IS ONLY THE JUJU2CAST AUDIOCAST PAGE FOR THE JUJU2CAST NETWORK! > An interesting show today starting with in which did I get a bonus or not?, then the NY marijuana bill to come?, plus more interesting stories, with more holiday talk, and TV/Film Talk Newz................ENJOY!! Our AudioCasts are shown from the most recent cast to the oldest cast ENJOY! These audio based casts are developed in high quality MP3s and can be listened on many devices capable of MP3 playing: NOTE: Some casts might have suggested adult themes & language!! "Subscribe to this RSS AudioCast By Clicking the icon above and place in your favorite podcast player or RSS audio player! Works with Windows, Android, Itunes, Mac, Iphone, Ipad"
JuJu2Cast Network by Mike J. Beyer is licensed under a Creative Commons Attribution-NonCommercial-ShareAlike 3.0 Unported License. Based on a work at juju2cast.com. Copyright © 2019 JuJu2Cast Network. All rights reserved.. Awesome Inc. theme. Powered by Blogger.